No, the name is not me being clever (or the horrendously on-the-nose opposite). Once again, I found myself finally exploring a location that I had known of for quite some time, but either could never recall its exact location or if it was even an actual place that had existed. Seeing its entrance in brief passing, talking about it years ago, or even having seen similar locales in my dreams, may have contributed to never coherently pinning down the campground as a place that I could see and document, but I was fortunate enough to have the opportunity to see this past spring. Many of my favorite places, found either through my own travels, word of mouth, or the beloved publication Weird NJ, naturally have a rich history loaded with colorful characters and local flavor. Finding and learning about these places that are within a few hours of my hometown and current residence is always an adventure. Finding that these places exist mere minutes from where I live is all the more incredible and rewarding. New Jersey history, especially pertaining to places marked by economic booms, tends to have a recurring cast of names and families, whether they represent small mom and pop operations, or extend to titans involved in greater industry. For instance, many of the places I have written about and visited are connected loosely through the Delaware-Lackawanna Railroad organization, modernly founded in 1993, but with historical roots dating back to older entities in the mid-1800s. It is very much like reconnecting with an old friend to find a familiar name stamped on a boilerplate in an abandoned factory, when you have seen the name previously, for example, in an abandoned viaduct a hundred feet over open air and running water. Camp Meta, for me, personally, shares this familiarity with well-known industrial and supply organizations still very much in existence and business today, names that are relevant in my professional career and as a local consumer. 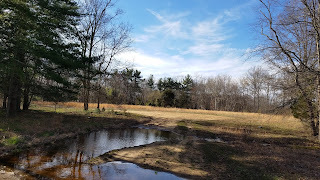 In my findings post-visit to this beautiful piece of land, I learned that technically, this property now belongs to the same park system we frequent (through Mercer County) and loosely to the summer camp I enjoyed growing up (YMCA Hamilton / Sawmill). Within the last few years, this property was graciously bestowed as a gift by such a local business "giant" with future plans involving being further ironed into the recreational treasures I have grown up with. Further reading and information is available here; I do not wish to misrepresent or speak for these lovely people, and will allow the article speak for itself and shed some light on their business and lives. Finding the camp, however, involved a far more (personally) dramatic discovery and visualization of the entrance. I had been driving on one of my favorite countryside thoroughfares (the roads that brought me to the Old Iron Bridge and Province Line Road many a visit, locations that readers may know without even realizing, through previous video work and liberties taken in fiction) when I saw it. A small dirt pull-off, muddy from recent rain caught my eye and I saw an arch-way that reminded me of a much less grand and dramatic Jurassic Park entrance. Faded red / wooden pillars and large white letters that stuck out in the foliage: CAMP META. I snorted when I got out of my car and read the words (not realizing it was a person's name and feeding far into my own nonsense). I felt welcomed, if out of place, and did not see any obvious warnings of trespassing, so I pulled out my phone and took a walk. 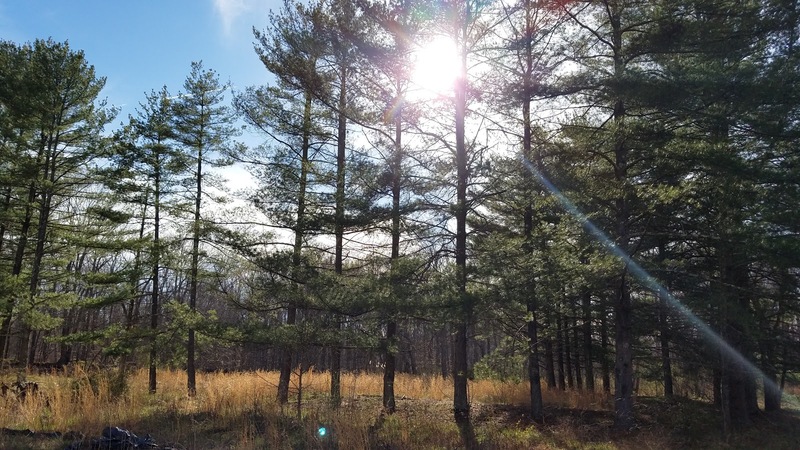 I did not know what to expect, whether there was playground equipment, or even, a holy grail of sorts, abandoned cabins, but knew from loose conversations previously, that this was a camp, and I starting piecing together anything I could recall. I did not dwell too long as I found myself enjoying a pleasant stroll along a winding, sandy route. As I would later learn, this property is now a part of a system of trails, but I did not yet know this, and questioned what I would find. 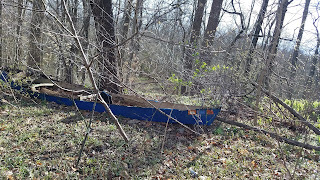 My curiosity was sated as I spotted brightly and inorganically colored paint inviting me into a wooded path, cut into a hill. 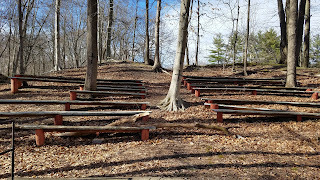 I followed a few pieces of graffiti and camp nostalgia (pop culture icons, peace signs, the American flag) and found myself standing center stage in a small forest theatre of sorts. 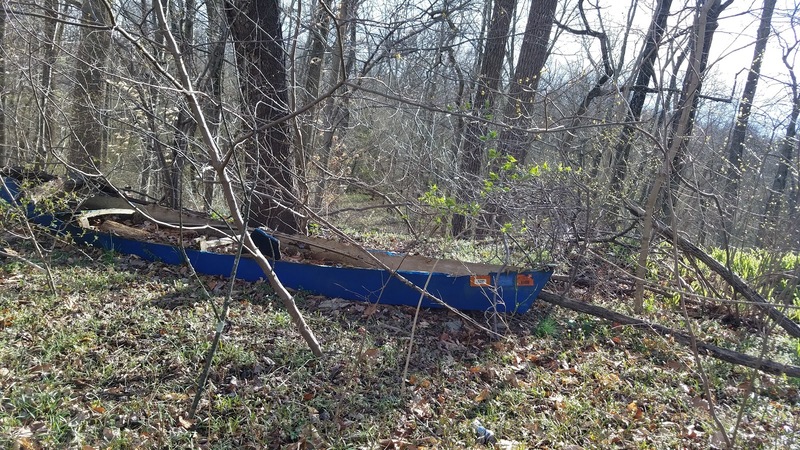 I felt right at home finding a forgotten blue canoe permanently resting on a hill, far from any water, long since float-worthy. Time moving on and allowing the carefree nature of a children's camp to decay into mild vandalism brought on a lovely sense of the macabre. I found multiple inverted crosses and other pleasantries painted all around on the trees. The trash was an unfortunate relic of past visitors, but the clash of the findings amused me. I could see where children would play games or get organized for a summer's day of fun; I could also see where a few teens got absolutely blitzed on cheap booze and smoked unsavory things. This was an offhand spectrum of Jersey youth and I cherished the stroll. I kept walking for a bit and ended up in an adjacent tree farm. I felt that, ignorant of the current standing of the property and whatnot, that I should probably go, lest I further push my luck. 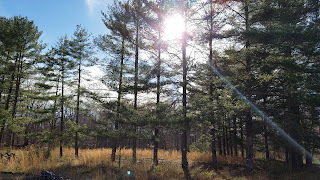 Even now knowing that the property is being incorporated into the park system, I did not feel comfortable wandering around without a strong given "okay" -- I took a few more pictures and decided to leave. I am proud and thankful that this place is now slowly being opened back up for future generations of "campers" and am curious what the township will decide, if anything, to do with the mild development and accessibility. 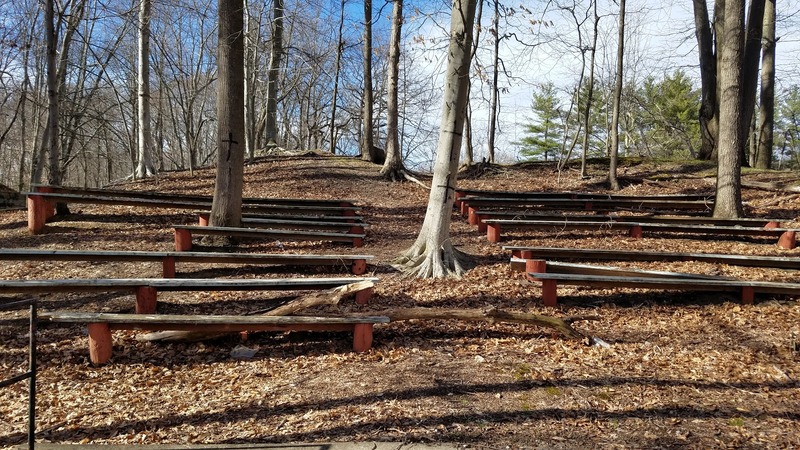 It is always a treat to "discover" these places just as they are being prepared for future public use (like our impeccable timing of our first hike at Baldpate Mountain, it having only been opened to the public for a few weeks before we visited). For now, I have my visit to a previously almost-forgotten treasure and the decades of local history that had helped to bring it onto my life's path.